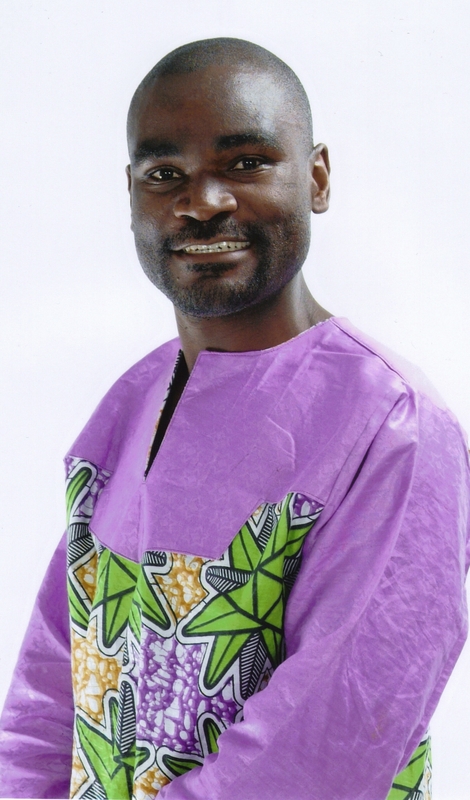 Zambia and The Living Tree of Democracy | Elias Munshya, LL.M, MBA, M.DIV. Nothing shows the character of a president, or any person for that matter, than the battles she chooses to fight. The saying that action speaks louder than words becomes even more real for a nation, in the type of undertakings that a president decides to employ. There can be no doubt that both action and inaction could show us without doubt where a president’s vision for the country lay. This is even more serious in our country. Faced with bitter division within his own ruling party, the President has decided to cast a blind eye on those divisions and instead, has concentrated on victimizing citizens. These citizens’ only crime is the decision to stand up for the country and exercise their democratic liberties. Just the other day, President Sata, to the embarrassment of our intelligence community, issued a written statement in which he claimed that the intelligence has infiltrated Hakainde Hichilema. We may never know the extent of that infiltration, but following the Chief Jumbe precedence, it could include “sikiriti ku bed.” This is Michael Sata’s priority and we get it. In President Sata’s threatening phone call to Joy FM, we are further introduced to the priorities of this president. In that phone call we are shown what this president regards as national security priorities: the political death of Nevers Mumba. The fighting between GBM and Kabimba by far poses the greatest threat to our national security and to our democracy. GBM is no ordinary character; he is the country’s minister of defense. He is the third most powerful of cabinet peers. His public spats with Kabimba cannot be trivial matters. In fact, Nevers Mumba’s vociferations on radio pale in comparison with the security implications brought by the “cipaye no lamwina” going on in the PF. And the president’s inaction over GBM and Kabimba while making the greatest noise against HH and Mumba goes to just show that the cobra has marked its victims. That being the case, the older I grow, the more I realize that us mortals may never know what transpires to champions of democracy once they acquire power and begin breathing the air supplied only to the chosen five at Plot One. To what could we attribute the complete transformation that our presidents go through immediately after they are ushered into the Nkwazi House? What happened to KK after independence? Which virus eats up the democratic decency of people like Dr. Frederick Chiluba who after fathering our democracy ten years later wanted to suffocate it? And now in 2013, when our nation is confronted with the infighting within the ruling Patriotic Front, our president decides to look the other way and to bury his head in the sands of Lealui hoping that after 90 days, it will all go away. Instead of confronting the evil in PF, the president decides to attack democracy. However, once a people have had the opportunity to get their taste buds tantalized by the beautiful aroma coming from the fruits yielded by a tree of democracy, they do everything they can to defend that tree. The fabric of our republic changed fundamentally in 1991. The people of Zambia resolved to replace a dictatorship that once was styled “one-party participatory democracy” with a democracy allowing plural politics and with it plural views and opinions. After having tasted this beauty and after having touched this greatness, Zambians are willing to defend this democracy to the bitter end. Pafwa abantu, pashala bantu. As stated above, in 2001 Chiluba got almost corrupted by the same dictatorship he had risen to fight. It is the ordinary Zambians who stopped what could have been a resurgence of tyranny. In that year, Zambians from all walks of life came together and demanded that Chiluba and his lieutenant Michael Sata stop the ridiculous bid to run for a third term. Amazingly, at a rally in Lusaka even the vice-president of our nation joined expelled Members of Parliament and members of the civil society to demand that Chiluba does not asphyxiate democracy. In 2011, again the people of Zambia exercised their freedoms. Lozis, Bembas, urban dwellers as well as the general workers in our country came together and formed perhaps one of the most significant political coalitions to usher in the presidency of one Michael Chilufya Sata. Through the “Don’t Kubeba” coalition Sata became only the second to Chiluba to beat an incumbent. This is no small feat. It is a significant event. But the true heroes of the 2011 story are ordinary Zambians, both the educated elite of Omelo Mumba Road and the poor street kids that sleep under the pavements of Rhodes Park. Ordinary Zambians put a stop to what they perceived to have been an unproductive presidency of Rupiah Banda. However, like many governments before it, a bout of political dementia and historical psychosis has suddenly afflicted the PF government. Frequently, gentlemen like Wynter Kabimba are now standing on a podium to proclaim, quite thoughtlessly I must say, that the PF is going to rule for decades to come, for a 100 years minimum. Kabimba has even got the bravery, people of Zambia, to claim that your country is now on its way back to a one-party system. I should be the last person to fault the honorable comrade for so thinking. However, I should be humble to acknowledge that many things are unlawful, but political silliness is not one of them. Quite to the shock and awe of the honorable comrade it is only the sober people of Kafulafuta and Msanzala who had to remind him that his wishes were just that: wishes of a very capable gentleman intoxicated by the Kachasu of political power. And indeed, due to the tyrannical nature of the PF party itself, the cadres are making the honorable comrade’s continued stay as Secretary untenable. Kabimba has lost in both ways: the people of Katete rejected his philosophy and now even his own cadres have armed themselves with pangas against him. It is difficult to imagine how quickly 100 years in power can change to an ultimatum to leave the Patriotic Front. Kabimba aside, it should be concerning correspondingly that President Sata last week called Joy FM radio to ask the presenter to cancel a radio at which opposition leader Nevers Mumba was guest. His Excellency too needs to be reminded. Zambians have drunk the cup of democracy. They have found it to be too sweet. And having found this democracy too sweet, they are refusing to let go. They are saying quite eloquently, democracy yali lowa! Nevers Mumba might have used many colorful words he wanted to use during that radio broadcast. But that is the beauty of our democracy: to be able to hold Michael Sata accountable and let the people of Zambia know that some of the promises Sata made were, borrowing from Zagaze and Pilato, “bufi”. And of course, our people do not go begging at State House for a handout of freedoms. If Sata wants to take this path, then he will have to top-up on talk time and get ready to make many calls: Zambia’s tree of democracy is alive and well.